The Season 4 premiere of “The Walking Dead” is this Sunday. To celebrate the return of AMC’s hit show here are some apocalyptic-inspired cocktails for you and your friends to enjoy during the show. While you ponder what lies ahead of Sherriff Rick Grimes and his team of survivors as things looks ominous as they square off against the walkers why not kick back and relax on one of these drinks? You can sip on a “Woodbury’s Harvest” as you watch the group stand their ground at the prison, or mix up a “Black and Buried” or “The Walker” to get a taste for the post-apocalyptic world the survivors are living in. Maybe one of these drinks were created in Woodbury when they would have one of their festivals. Not sure the prison has any of the ingredients below to make these cocktails, but you do. So while watching this season have a drink for Rick and his crew. DIRECTIONS: In an ice filled Collins or rocks glass combine all the ingredients and then stir to blend. DIRECTIONS: Combine all the ingredients in a shaker with ice. Shake well and strain into an ice filled Collins glass. Garnish with apple slices. DIRECTIONS: Add blackberries to a cocktail shaker and crush with a spoon. Add Captain Morgan Black Spiced Rum, Zwack Liqueur and shake vigorously. 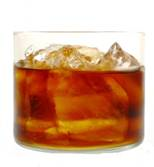 Strain into a Collins glass over fresh ice and top with cola. Garnish with a Lemon Wedge. Print article This entry was posted by Art Eddy III on October 8, 2013 at 9:52 am, and is filed under Lifestyle. Follow any responses to this post through RSS 2.0. Both comments and pings are currently closed.